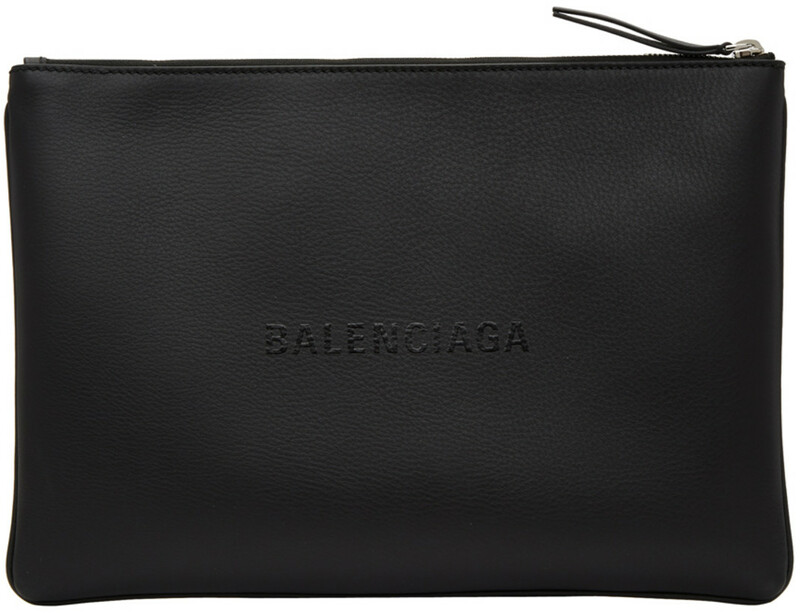 Slim grained calfskin pouch in black. Tonal logo printed at face. Zip closure. Leather logo patches at interior. Tonal twill lining. Silver-tone hardware. Tonal stitching. Approx. 13″ length x 9″ height. Hand-engraved sterling silver cinco peso money clip with 14k sculpted longhorn in center. Made with genuine Mexican cinco peso silver coin originally used to form the Texas Ranger shield. Dimensions: 2 1/4″ high x 1 1/2″ wide. We designed our premium leather wallet to organize all the details, whether you’re traveling overseas or driving to the shopping mall. A world of storage slots and pockets holds passport, credit cards, airline tickets, ID, or cash from various countries. This handsome wallet is designed for easy use, generously sized, and RFID protected for your security. Premium storage without the bulk. This mighty little trifold holds cash, ID, and 6+ credit cards in a compact design that fits in your pocket. This everyday wallet is all you need, no matter where you’re headed. 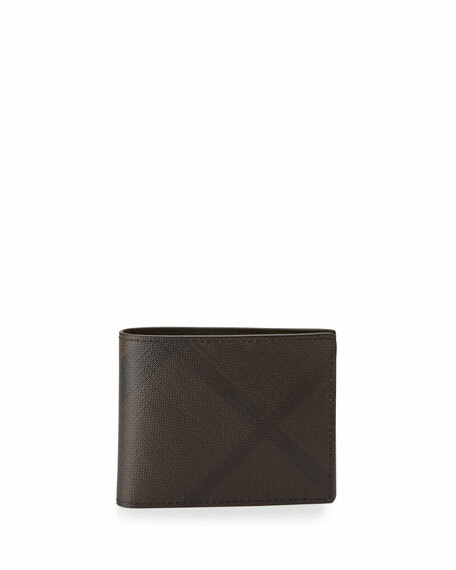 Pleated Leather Men’s Vertical Wallet crafted from supple calfskin leather, is a classic piece perfect for daily organization. Featuring billfold closure, one bill compartment, two side pockets, eight card slots and signature plaque on front. Signature box included. Choice of BLACK or COGNAC BROWN. Full Grain Cowhide. Six credit card pockets. Single currency pocket.